After breakfast & committing the day to the Lord in prayer, we were driven to Mount Percipice. It rained the whole day today. The Hebrew name of the Hill is "Kedumim" or "ancient place" in Hebrew. This name was derived from the pre-historic findings found in the cave on the slopes of the hill. 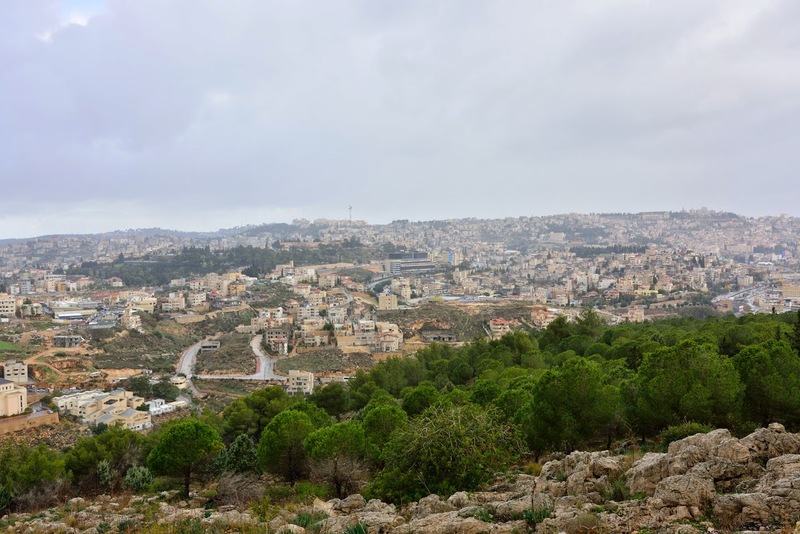 It is believed by many to be the site of the Rejection of Jesus described in Luke 4:29-30 – The people of Nazareth, not accepting Jesus as Messiah tried to push him from the mountain, but "he passed through the midst of them and went away.” Mt. Tabor is rumoured to be the mountain that Jesus landed on when he jumped off from the "three faiths lookout"! 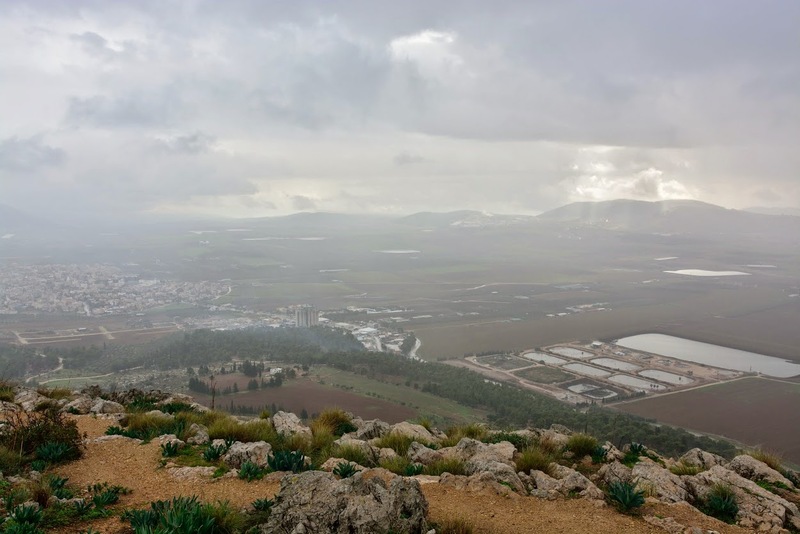 At 397 meters above sea level and some 300 meters above the level of the Jezreel Valley, the Mount of Precipice stands out conspicuously from the steep wall of the Nazareth Hills. The Nazareth Hills block off the northern part of the Jezreel Valley like a fortified wall. Their steep slope is the product of a geological fault that divides the hills from the valley: the hills reared up far above the lowland, and the hard chalk rocks of which they are composed have remained startlingly upright. 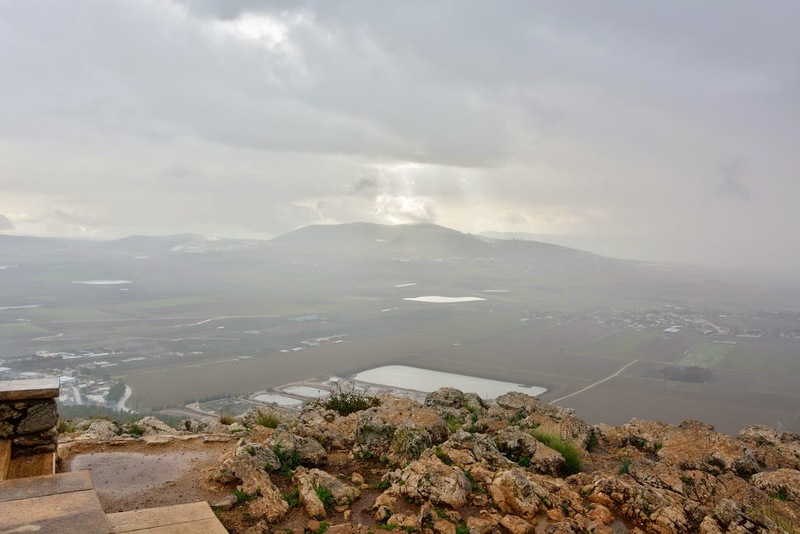 Its official name is Mount Kedumim (Har Kedumim), perhaps because it overlooks the Kishon River, which is referred to in the Biblical Song of Deborah as the Kedumim River (Nahal Kedumim): “The river of Kishon swept them away, that ancient river (Hebrew: Nahal Kedumim), the river Kishon,” (Judges 5:21). 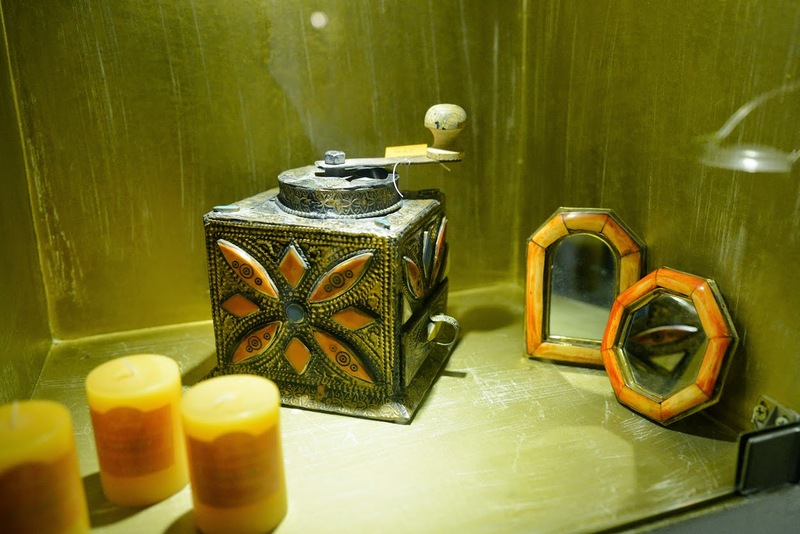 It provides one of the best, most beautiful observation points over Yizrael Valley and its surrounding mountains: The Carmel Mountains, The Gillad Mountains and the Tabor Mountain. At the top of this mountain is the Three Faiths Lookout (397 meters above sea level). A beautiful path leads to a large stone paved area, in the centre of which there is a large stone, an olive tree and a sign which tells the story of the place in Hebrew, Arabic and English. In honour of the Pope’s visit to Mount Precipice in 2009, an amphitheatre seating 40,000 people was built on the northern slopes of the mountain. From the top, it is a powerful display and the city of Nazareth, built on a hill facing the mountain, serves as a magnificent setting. View of the plains, Yizrael Valley below from Mt Percipice. Hebrew name of Nazareth is derived from an agricultural root. 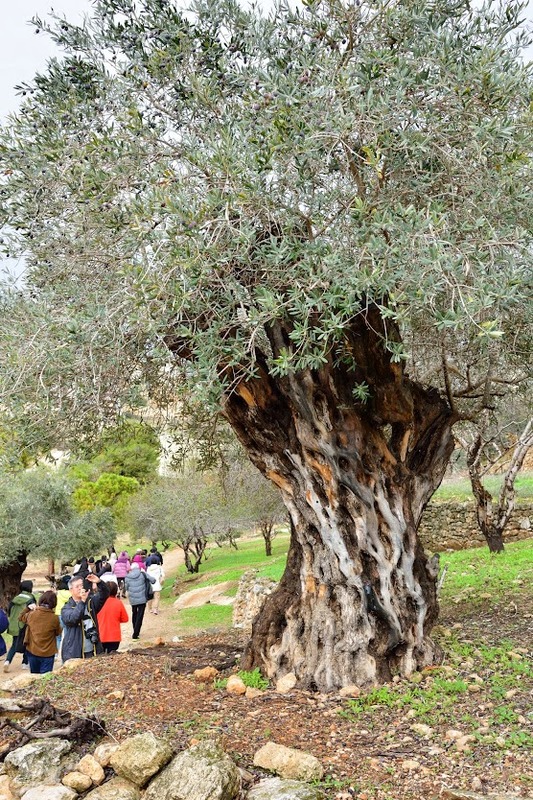 It comes from the word, 'netzer' meaning 'shoot' (mentioned in the book of the Prophet Isaiah chapter 11 verse 1), referring to an offshoot of an olive tree. 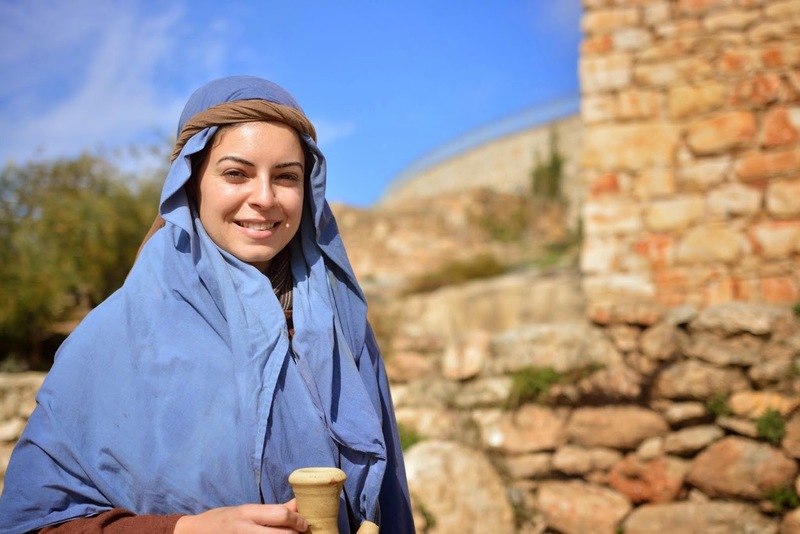 Situated inside a bowl atop the Nazareth ridge north of the Jezreel valley, Nazareth was a relatively isolated village in the time of Jesus with a population less than two hundred. 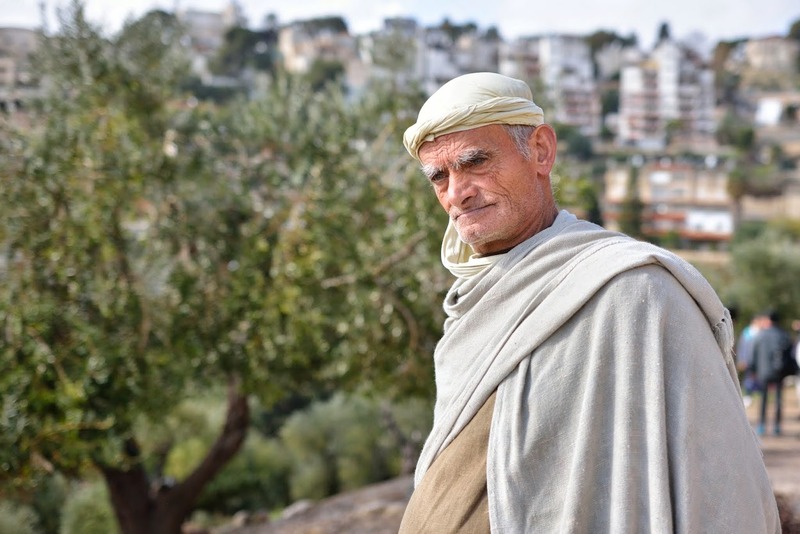 Today Nazareth is home to more than 60,000 Israeli Arabs, and Upper Nazareth is home to thousands more Jewish residents. It was in Nazareth that the angel Gabriel appeared to Mary to announce the coming birth of Christ. Joseph and Mary lived there after their marriage, and it was from there, as the well-known account goes, they went down south to Bethlehem to register for the census that had been ordered by the Roman rulers. At Bethlehem, Joseph and Mary fled to Egypt with the newborn Jesus to save His life from Herod. There they returned to Nazareth after the tyrant's death. After He grew up, Jesus would have worked hard with Joseph (who is very likely buried somewhere around Nazareth) in the family construction business. 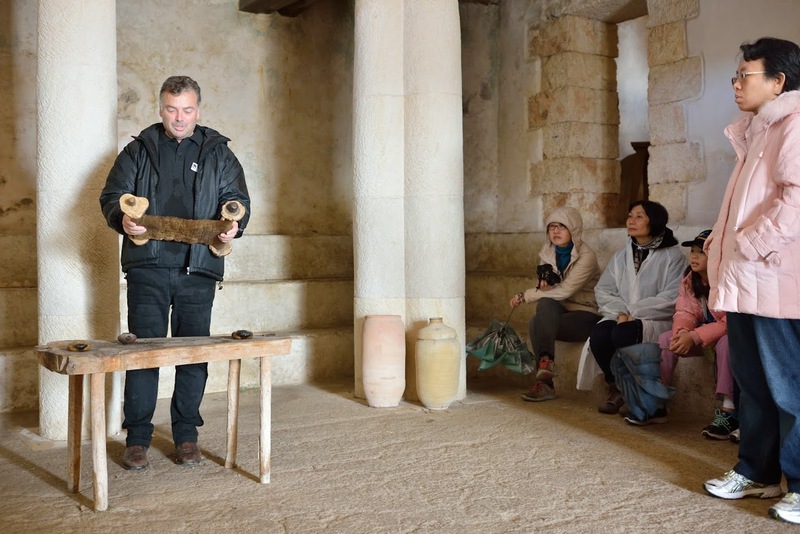 Later, Jesus began His ministry at the synagogue there. Nazareth Village is a project that attempts to reconstruct life in the first century and is located on the last remaining tract of virgin farmland, just 500 meters away from where Jesus grew up - almost right in the centre of town. 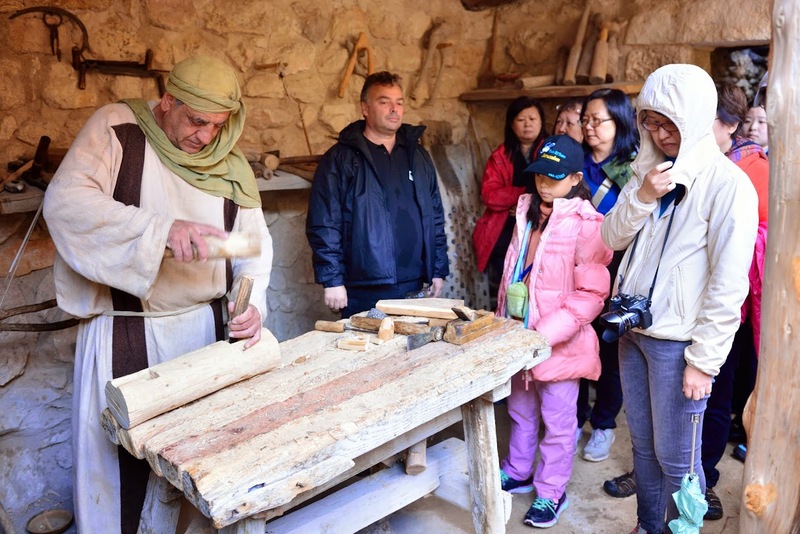 It brings to life the Galilean village scenes, recreating Nazareth as it was 2,000 years ago - a Jewish village under Roman occupation. The project has been in operation for a few years now and is a non profit organization, supported by people from around the world. It is a result of 15 years of archaeological, architectural and academic research led by the University of the Holy Land. Nazareth Biblical Village. 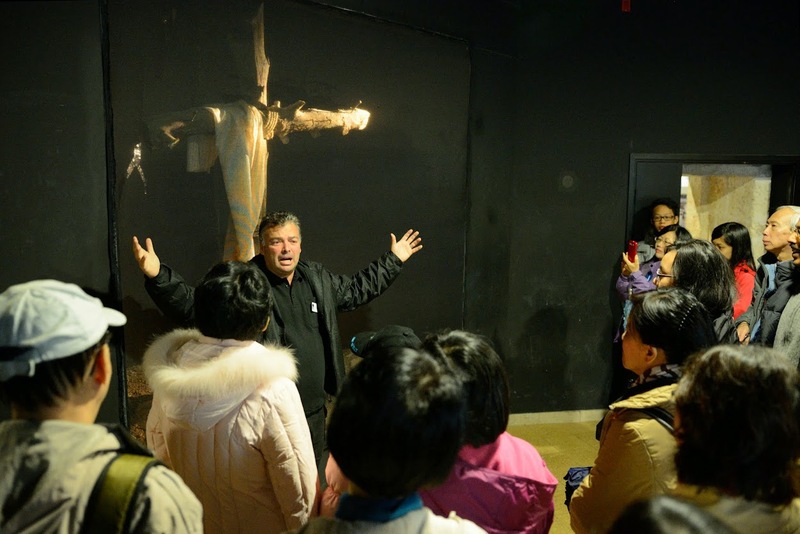 Although it is not an ancient site itself, the Village, a careful reconstruction based on the work of leading researchers, offers a guided tour back into the world of Jesus. 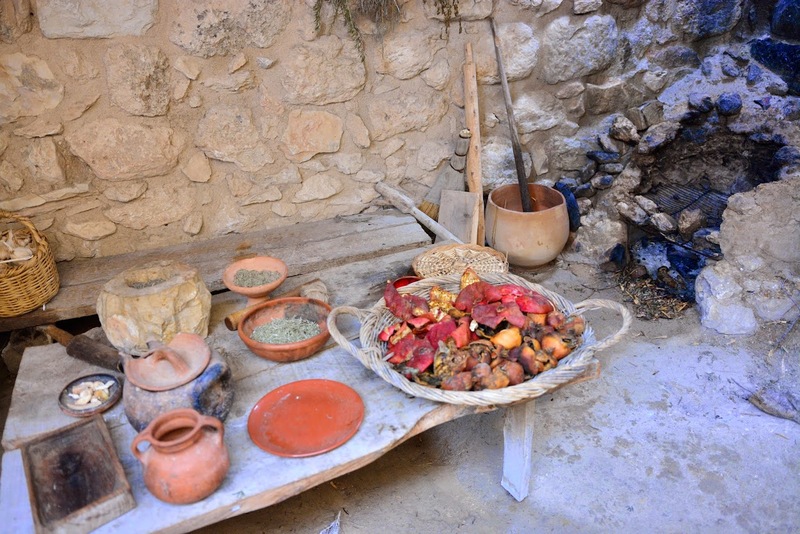 Visitors are shown ancient agricultural and construction practices, witness the pressing of olives and taste the foods of the day. 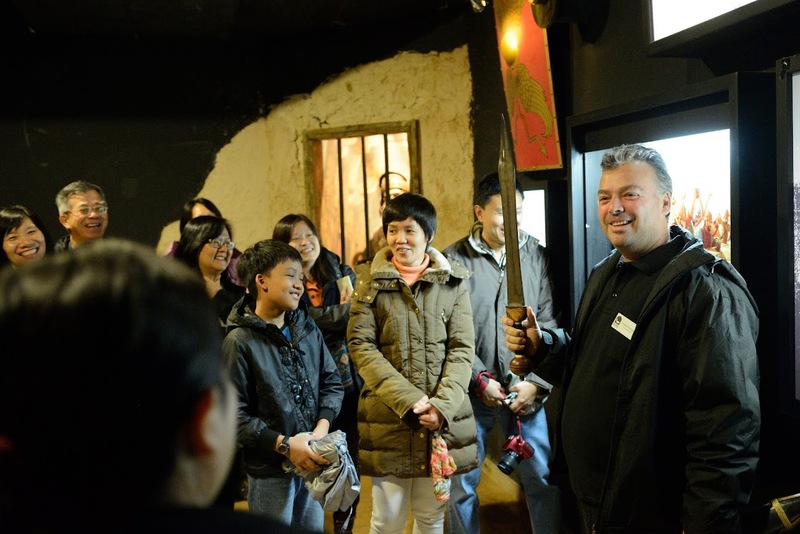 Villagers in replica costumes help bring the whole experience to life. Nazareth Village offers a unique chance to understand and see how life was experienced by Nazarenes 2,000 years ago. The handsome & charming village guide cracking a joke ... Everyone was so happy. An example of a cruel, rugged cross (tree) on which our Lord was cruxified. A carpenter at work. Jesus was a carpenter before His ministry.